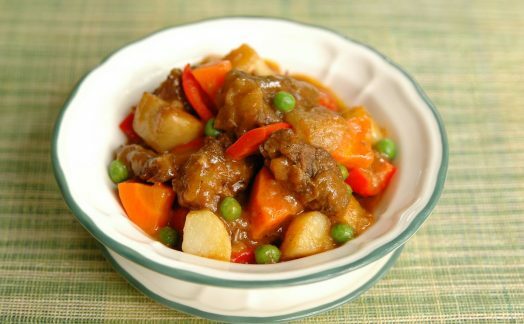 A hearty dish using Mama Sita’s Caldereta Mix combined with potatoes, carrots, and bell peppers. In a sauce pan, pan fry beef brisket in cooking oil until the edges turn brown. Add water and bring to a boil, lower the heat and simmer until tender. Add water if necessary. When the meat is tender, add potatoes and carrots. Simmer until cooked. 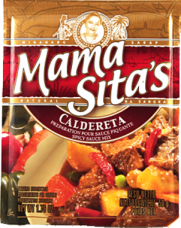 Add Mama Sita’s Caldereta Mix. Stir and let it boil. Add red bell pepper, green peas and green olives. Cook for 3 minutes. Serve hot.